It’s really a tremendous feelings when your lover hold your hand with deep affection! This time is like most impressive moment of your relationship and you get the strength which is too important to build more understand with each other. 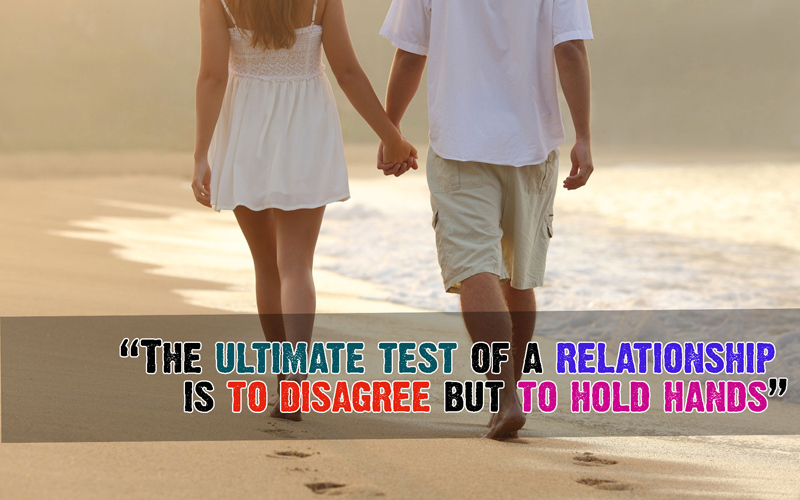 Also romance with holding hand keeps a relationship on precious attraction. 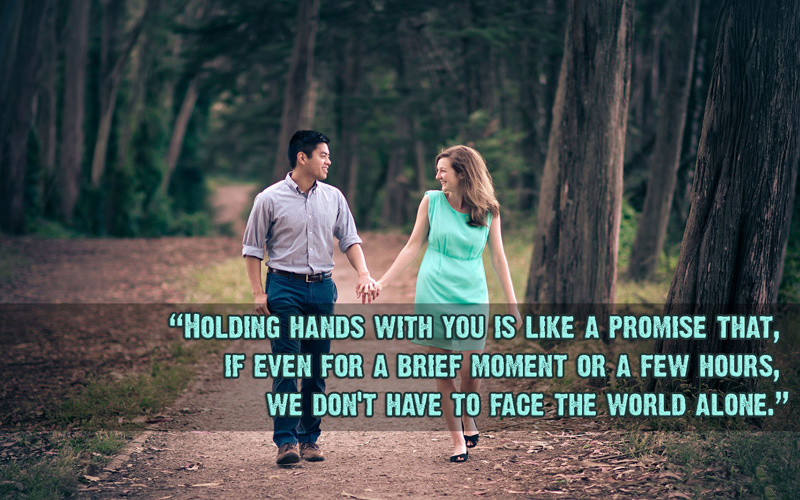 Browse our collection of romantic, inspirational, wise, and cute Holding Hands Quotes and Holding Hands Messages. Pick one and share with your dearest one and make him/her feel special also he/she will know that you care most to keep your relationship even stronger. I feel like I can conquer the world with one hand, when you are holding the other. If I am wrong, I need your hand to correct me… If I am lost, I need your hand to guide me… If one day I die, I still need your hand to close my eyes. Please hold my hand tightly in your hand… Never let me go. I LOVE YOU! Hold my hand and never let it go…for my love for you will be forever and it will last even the infinite of time.. Your hand fits in mine, like it’s just made for me! I wanna hold you close Under the rain, I wanna kiss your smile and feel the pain, I know what’s beautiful Looking at you In a world of lies You are the truth! Small things that mean a lot: Cute texts, tight hugs, long replies, holding hands, remembering the little things, & kisses on the forehead. I remember the times when we used to sit in the park. Holding hands together I never should have gone away and left your life like this girl. Hold my hand and I promise I will never let you go away! I just wish we could go back to holding hands and spending time together. Your hand fits in mine like it’s just made for me. If I fell in love with you, would you promise to be true? Cuz Ive been in love before and I found that love was more than just holding hands. Once I had her hand, I never wanted to let go of her. RELATIONSHIP; It’s more than just the dates, holding hands and kissing. It’s about accepting each other’s weirdness and flaws. It’s about being yourself and finding happiness together. It’s about seeing an imperfect person perfectly. Hope you got the idea what to say or share with your love from these Holding Hand Quotes collection. We think this will help you to feel the rhythm of two beating hearts and make you do crazy things what you thought you wouldn’t ever do.